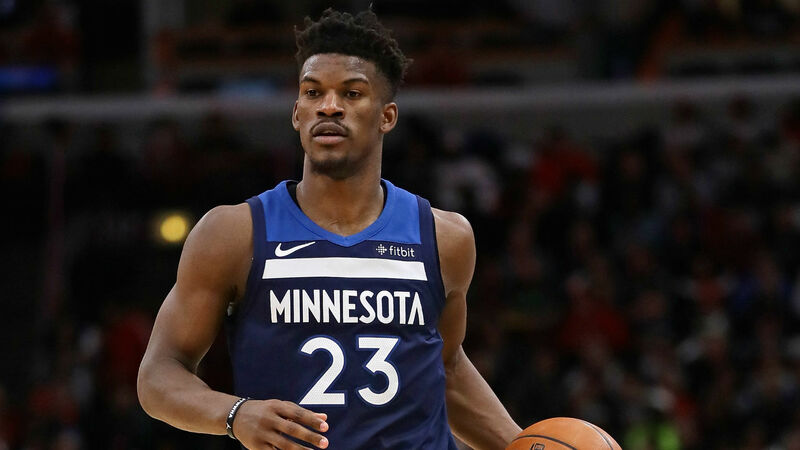 Jimmy Butler is set to join the Philadelphia 76ers after the Minnesota Timberwolves agreed a deal to trade their unsettled All-Star, according to ESPN and The Athletic. Butler and Justin Patton will reportedly be traded in exchange for Robert Covington, Dario Saric, Jerryd Bayless and a second-round draft pick. Ex-Chicago Bulls player Butler and the Sixers are confident of agreeing a long-term contract at the end of the season, per ESPN. The reported move sees the 29-year-old join the likes of Joel Embiid and Ben Simmons in an exciting group that surprisingly reached the Eastern Conference Finals last year. The Wolves, meanwhile, get some compensation for a player who had made clear his desire to be traded and did not plan to renew his contract, which contains an opt out after this season. Butler averaged 22.2 points, 5.3 rebounds and 4.9 assists last season for Minnesota, who made the playoffs for the first time since 2004. After a turbulent preseason period where he reportedly turned down a contract extension and requested a trade shortly before training camp, Butler continued to play for Minnesota but did occasionally make his frustration clear, including after the 121-110 loss to the Sacramento Kings on Friday which left his side with a 4-9 record. He appeared in 10 of the Timberwolves' 13 games this season and leaves as the team's top scorer (21.3 ppg). The Sixers are 8-5 having won their last two matches.